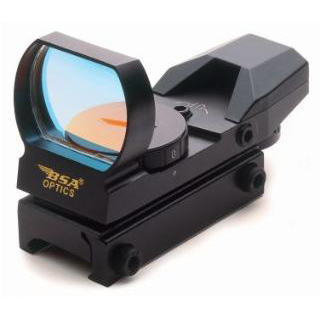 The PMRS is a compact lightweight multi reticle sight with a 3 MOA dot crosshair 10 MOA dot crosshair and a 65 MOA circle with a 3 MOA dot and features a panoramic view. The PMDS comes with four different dot size selections 358 and 10MOA dots. It features a panoramic view and they both come with an integral Weaver style mounting rail. Batteries and rubber lens cover are included.